F-Class competition will be featured on this week’s episode of Shooting USA television. This week, Shooting USA takes an inside look at the rapidly-growing sport of F-Class shooting, with coverage of both F-TR and F-Open competition at 600 yards and beyond. This show will air three times on Wednesday, October 23rd, on the Outdoor Channel (see air times by region below). This episode will also feature the historic 1907 Winchester, a choice of gangsters in the 1920s. Share the post "F-Class Featured on Shooting USA TV This Week"
The U.S. Supreme Court has agreed to adjudicate a case involving a firearms purchase and subsequent resale to a family member. The case of Abramski v. United States, arises from the prosecution of Bruce James Abramski, Jr., a former Virginia police officer, for allegedly making a “straw purchase” of a Glock handgun. Abramski had lawfully purchased a Glock pistol in Virginia, then later resold the Glock to his uncle, a resident of Pennsylvania. Both purchases were conducted through FFLs, with full background checks, and both parties were legally entitled to own a handgun. Abramski arranged the sale in this fashion to take advantage of a discount available to him as a law enforcement officer. Abramski was indicted and prosecuted for violating Federal laws against “straw purchases”, specifically making a false declaration on BATFE Form 4473, which is a violation of 18 U.S.C. § 922(a)(6). Abramski challenged the indictment, but the District Court ruled against him and the U.S. Fourth Circuit Court of Appeals upheld the District Court’s decision. However, the Fourth Circuit acknowledged that there was a split of authority among the Circuits as to whether § 922(a)(6) applied in a case like this one, where the ultimate recipient of the firearm was lawfully entitled to buy a gun himself. The Fourth Circuit’s ruling conflicts with previous decisions by the Fifth Circuit holding that “straw purchaser” laws are NOT violated if both the original purchaser and secondary buyer are legally entitled to own a firearm. See United States v. Polk, 118 F.3d 286 (5th Cir. 1997). The key issue is whether Abramski committed a crime by buying a gun, and then promptly re-selling it to another person who was legally entitled to own the firearm. The government argues that Abramski broke the law when he checked a box on Form 4473 indicating he was the “actual transferee/buyer of the firearm”. Soon the U.S. Supreme Court will decide which interpretation of the law is correct. 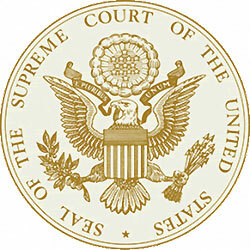 CLICK LINKS Below to Read Briefs Filed in Abramski v. U.S.
Jun 21 2013 Petition for a writ of certiorari filed. 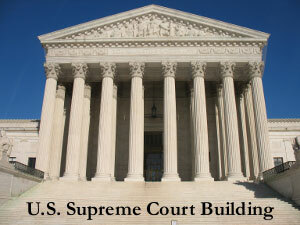 Share the post "U.S. Supreme Court Will Decide Firearms ‘Straw Purchaser’ Case"